Franklin Electric Australia was established in 1962 to support the Australian water industry. Franklin Electric was founded in 1944 in Bluffton, Indiana, USA and has expanded from a small motor manufacturing company into a leading global provider of complete water and fueling systems. Franklin has earned the reputation as a technical leader in all of its specialties, with products being used in residential, industrial, agricultural, mining, municipal, commercial, and fueling applications throughout the world. 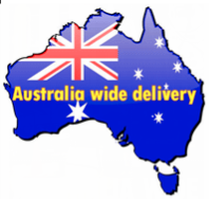 Franklin Electric Australia offers a wide variety of water Pumps, submersible Motors, Drives, Controls and protective devices. Whether you need a submersible pump for a clean well water system or an industrial water pump for a larger job, Franklin has a solution to fit your needs. We are proud to be appointed as a Dealer for these high quality products with local support, training and backup. Franklin Electric warehouse Melbourne, Australia. 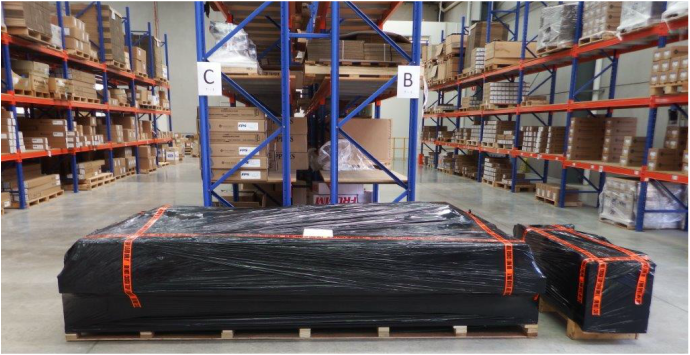 Packaged SubDRIVE Solar complete kit ready for dispatch to a Waterborepump Warehouse customer. 4" Franklin Electric Submersible Pumps. 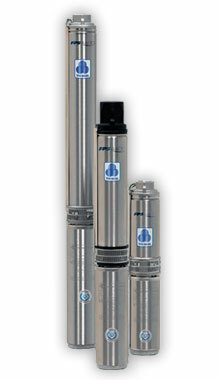 4400 Tri-Seal 4-InchThe standard FPS 4400 4" electrical submersible pumps feature the new TRI-SEAL floating stage system. This new stage system further improves efficiency and protects against wear when pumping abrasives like sand. All FPS 4400 pumps are unconditionally guaranteed against sand locking for one full year. * Celcon® is a Registered Trademark of the Celanese Corporation. ** Noryl® is a Registered Trademark of G.E. SubDrive QuickPAK is Franklin's most popular system solution package, designed to make installing a constant pressure system even easier. The SubDrive SolarPAK is the System Solution to your solar pumping requirements. No other system delivers the features, benefits, and reliability of SubDrive SolarPAK in just one package. The SubDrive Solar pumping system is fully compatible with the remote monitoring and access parameters of the Observant system to allow the site owners/operators full access to their Franklin Electric solar water pumping system. Allows use of new solar array or retrofit to existing array (subject to size and performance check). three-phase submersible induction motor. The SubDrive Solar provides water to remote locations by converting high voltage, direct current from a solar array into alternating current to run a standard AC submersible motor. When solar power is not available, the controller can automatically switch to an alternate single-phase AC input such as a generator or inverter from battery, if available. The controller provides fault detection, motor soft start, and speed control. The SubDrive Solar is designed to provide these features with the plug and play ease of installation similar to a single-phase control box. shutting down in extreme cases. Full operation is restored automatically whenever abnormal conditions subside. The SubDrive Solar system controller is based on a standard SubDrive platform controlling a Franklin Electric 4-inch three-phase 230 volt motor driving a 4-inch submersible centrifugal pump powered by a DC solar array or an optional AC generator backup. The SubDrive Solar controller continuously monitors system performance and incorporates a number of features for pump system protection. In the event of a fault, the SubDrive Solar will indicate the type of fault through the three seven segment displays. • Internal diagnostics will tolerate a lower input voltage. for maximum power transfer from the solar array. unable to support pump operation. The controller construction is ruggedized for hostile environmental conditions. prolonged direct exposure to sunlight. • The seals are designed for NEMA 3 (IEC rating IP55), (dust tight, withstands directed jets of water). • A three-digit seven-segment display provides a detailed indication of system status. • A small keypad offers flexibility for selection of user options. • A continuous data connection for remote telemetry is made available via an RS-485 port. dry, or that insufficient power is available to continue pumping. The system will shut down to protect the pump and motor until the well, or adequate electric power, has recovered. feature enhances long-term motor reliability.